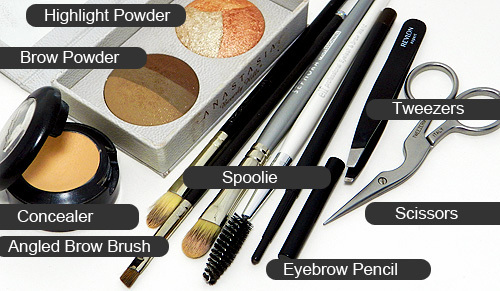 Everyone uses different brow filling methods – some swear soley by pencils, while others prefer brow powders. 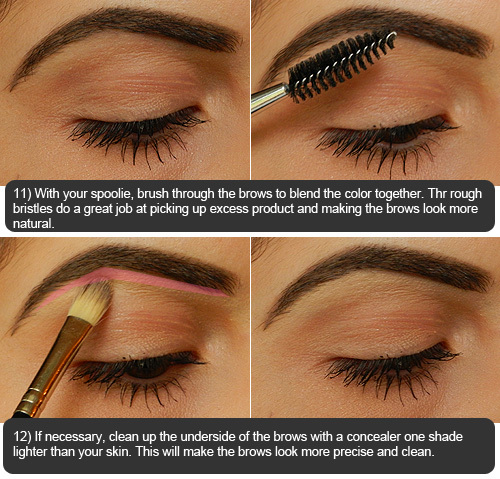 You may even prefer a cream product (such as a brown cream liner) or a brow-marker (such as Milani Brow Tint Pen). 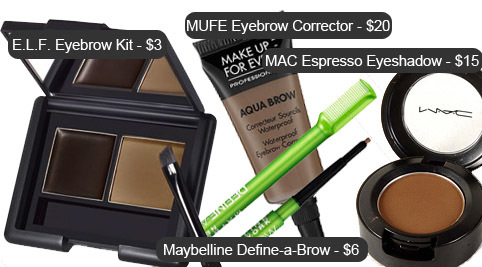 I love switching up products all of the time, so my brow routine changes often. 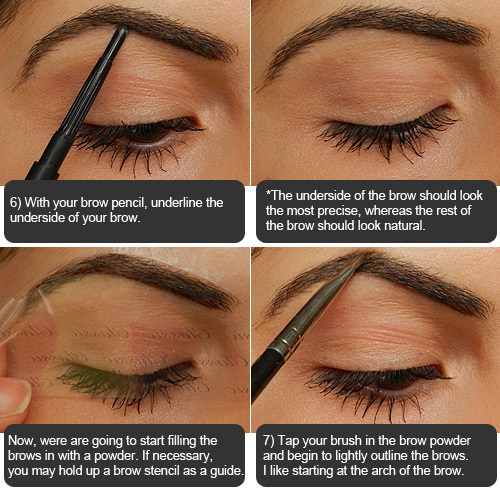 Today, I’m going to go through one way I fill in my brows using both an eyebrow pencil and an eyebrow powder. 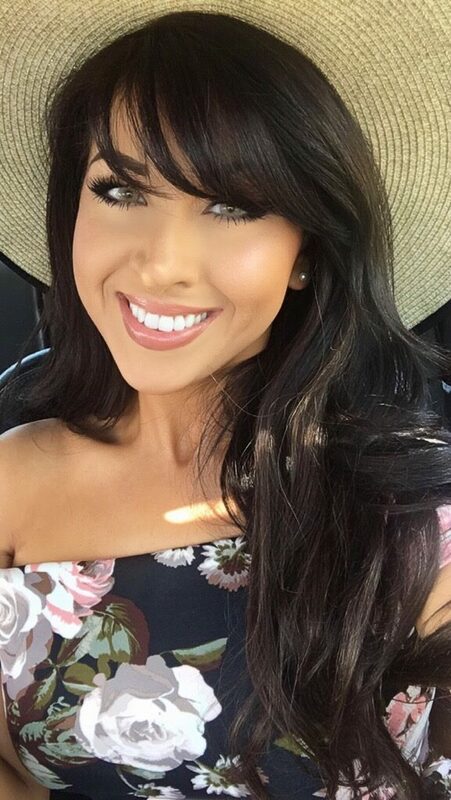 Don’t feel the need to go run out and purchase a brow powder – Any matte brown eyeshadow similar to your hair color will do. Although we all favor and thrive for eyeshadows with lots of pigment, we don’t necessarily look for the same in our brow products because we want our brows to look to look natural. So, finding an inexpensive shadow at the drugstore should be a sinch. And, if you don’t own an eyebrow pencil, you can use a brown eyeliner – but don’t apply it straight on as it can look too intense for your brows. Scribble on the back of your hand, and run your brush through the product for a more natural look (or you can just lightly rub your brush across the tip of the pencil). I don’t always use both products, but I like combining both because the pencil yields a very precise, clean line, whereas the brow powder gives a softer, more natural diffused line. 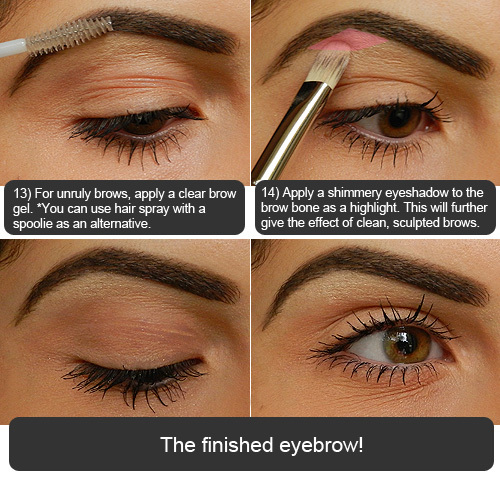 The result is a very clean and precise brow, yet it’s not as clean/chiseled as it would be if only a pencil was used. 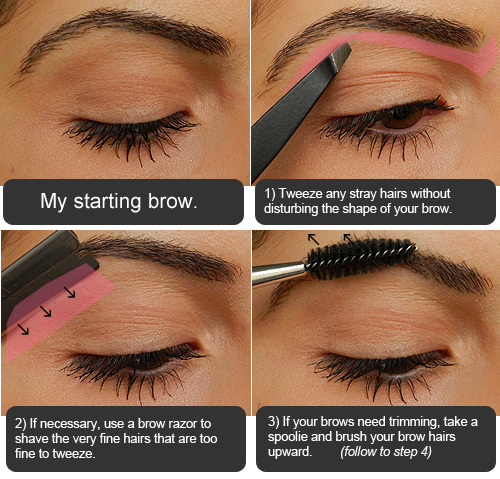 Here’s the classic diagram of where your brows should ideally start, arch and end. Since we all have different face shapes, natural brow shapes, etc, this figure might not work for everyone. It’s often referred to as the ideal brow – with the beginning of the brow lining up with the side of your nose (if you hold a pencil vertical to your nose, it should line up with the beginning of your brows). But depending on the symmetry of your nose, placement of the eyes (if they are very far apart for instance), etc, this method may not work. 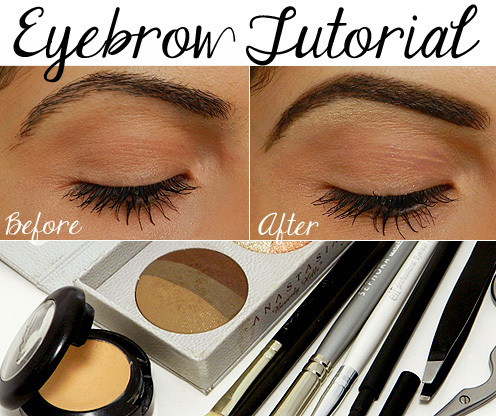 Instead, use your tear-ducts as a reference of where your brows should start. 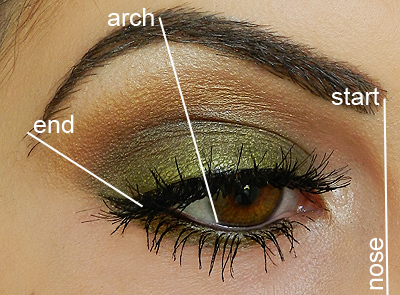 The arch should ideally line up with the edge of your iris. 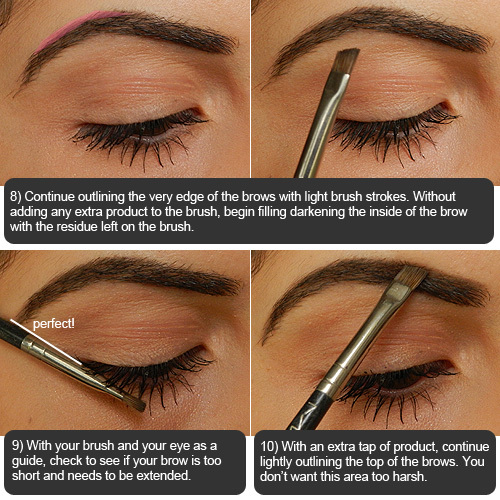 Your brow should ideally end diagonal (45 degrees) from the outer corner of your eye. What do you currently use to fill in your eyebrows? 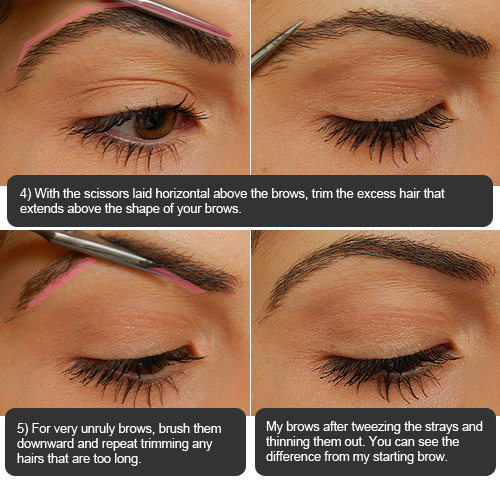 Eyebrows can certainly bring a lot of change in your look and hence, you would need to make sure that they look just perfect. 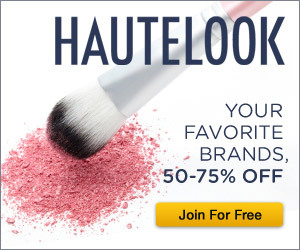 I loved reading different blogs that tackles about makeup tips and guides. Every day, I browse in the internet just to look and read blogs. Anyway, I liked your article because it contains very interesting topics. Thank you for sharing your blog. Is it very easy todo and use since ive never done this alittle scared.